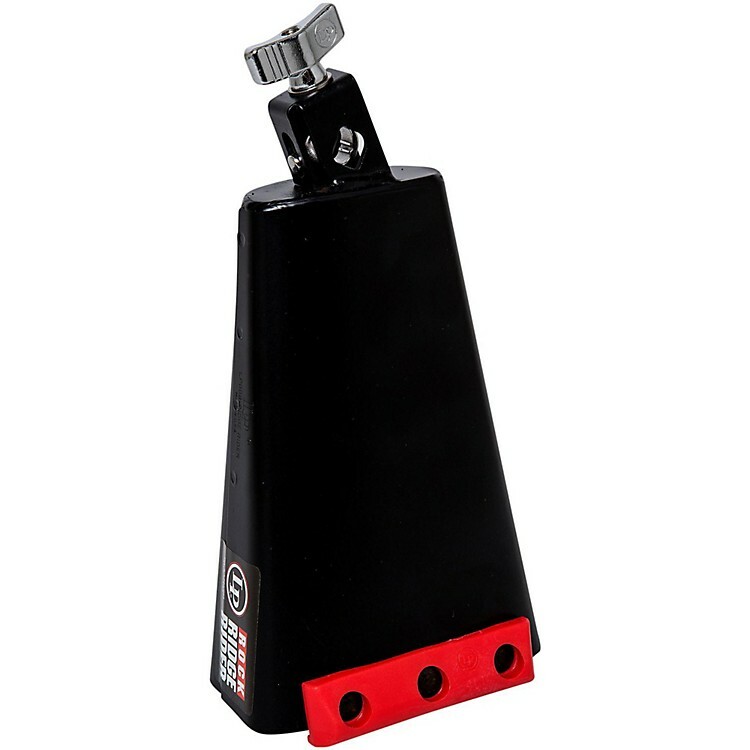 A classic LP cowbell with a larger, more convenient mounting system. Mounting your LP Rock Cowbell has never been quicker and easier. Now the mounting assembly's eyebolt is spring-loaded and self-aligning, and accommodates 3/8" and 1/2" diameter tom arms. The patent-pending mounting system is available on all Rock Models. . These 8" mountable bells are constructed with 14-gauge steel for added strength to withstand hard pounding. Their rich, cutting sound is low pitched and moderately dry. Designed for drum kit players. Made in U.S.A.
A Jenigor plastic strip along the top edge provides dampening and prevents denting.